There are few things more frightening than being pulled over by the police. If you have been drinking (even just a drink or two with dinner) that fear is magnified many times over. If this happens to you there are a few things you should know. In addition to the above penalties, there are two types of suspension that can result from a DUI or DWAI citation. The first is commonly known as an Administrative suspension. This is an automatic suspension of your driver’s license upon your arrest if your BAC is .08 or higher. The second is part of your sentence imposed by the criminal court following a trial or plea agreement. In many cases, you can have your license reinstated after serving a months or two of your suspension. To qualify for this early reinstatement, you will be required to have an ignition interlock installed on all vehicles that you own or have access to operate. How do Interlock Devices Work? An ignition interlock measures the alcohol in the driver’s system similar to a breathalyzer administered by law enforcement. If the alcohol level exceeds a pre-set level, the interlock temporarily disables the vehicles ignition system, and the vehicle will not start, thus preventing the driver from operating the vehicle. 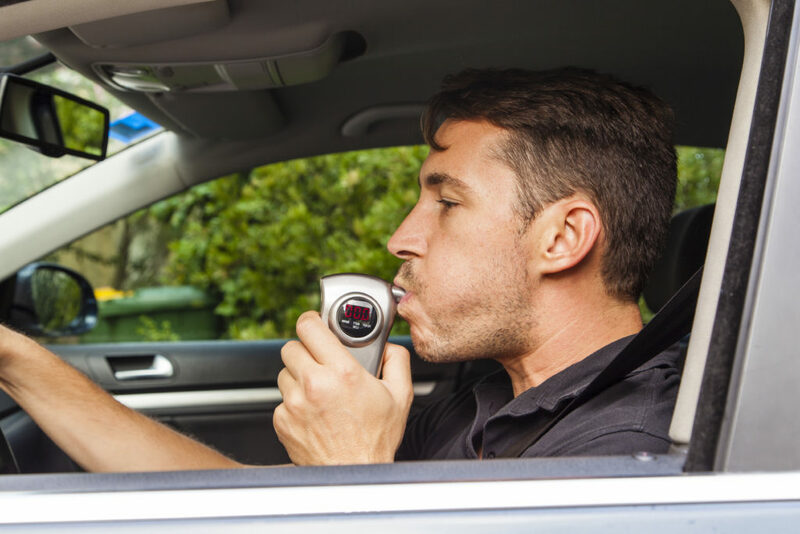 Just like a breathalyzer, the driver simply blows into the device upon entering the vehicle. If no alcohol is detected, the vehicle will start as usual. If alcohol is detected, the driver must wait a pre-set time (usually just a few minutes) before the device will allow a second test. If subsequent tests show presence of alcohol, the driver is locked out for longer periods of time. Colorado, like most other states, requires that the driver submit to random re-testing while driving. This is to insure the driver does not consume alcohol after the initial test and continue driving. The device typically emits an audible beep alerting the driver that a test is required. If alcohol is detected the system will not turn the engine off while vehicle is moving, but will alert the driver to stop by sounding the horn and flashing the lights. In addition to disabling the vehicle’s ignition system and alerting the driver, the data received from the tests is typically relayed to the DMV and may additionally be relayed to the driver’s probation officer or other court official. Most U.S. states and Canada use these systems instead of revoking driving privileges. This prevents future drunk driving incidents while allowing drivers with DUI convictions to work, attend school, and perform other essential functions. For these reasons, the devices are widely viewed as beneficial to the public as well as offenders. Contact the Colorado Springs DUI attorneys at The Gasper Law Group today to discuss your case.